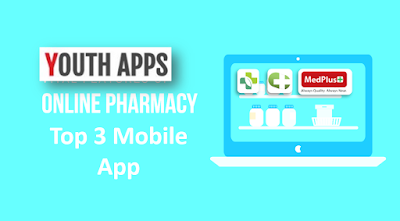 List of e-pharmacy mobile apps in India. E-pharmacy is considered to a most convenient way of purchasing the medicine as per doctor prescription. The reason why consumers feels it’s useful because of the way the current system works, it most of the cases the medicines are sold on the MRP and there is very few chemist offers discount and also the availability of the medicine on a particular make and brand with a combination may not be available which make consumers to move to different chemist or a chemist which is associated with the Doctor Clinic. 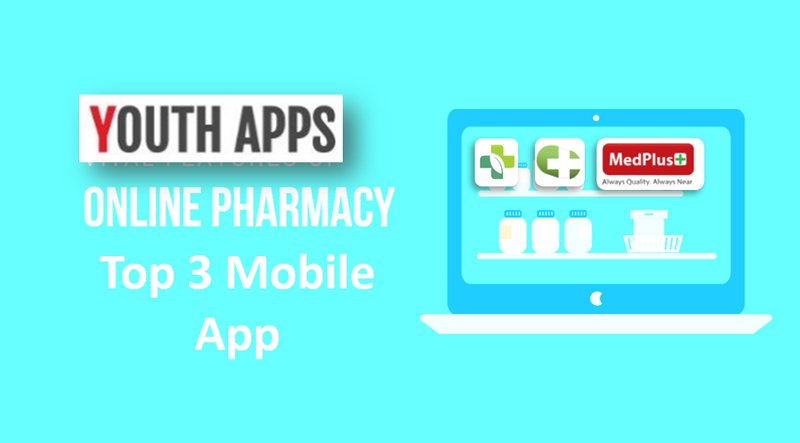 These are the primary reason why consumers feel e-pharmacy is the most convenient way of buying a medicine and with the E-Pharmacy mobile app availability the life becoming very easier for the consumer. As any innovation or Good Product there would be flip slide. The flip slide would be that anyone can order any medicine, though the rule says that a valid prescription should be showed or uploaded while ordering the medicine. All these can be doctored and the this could lead to a consumers getting drugs which may not be intend for a cure, also there are changes of spurious medicine being supplied. Around 8.5 lakh private medicine shops are participating in protest towards the e-pharmacy regulations that the Central government is deliberating. AIOCD (All India Organisation of Chemists and Druggists) calls for a nationwide protest against the e-pharmacy regulations in support of online sale of drugs. MedPlus - Medicines & Grocery App has been released by MedPlus Health Services Pvt. Ltd Medical. The app description in Google Play read as "MedPlus on line pharmacy/Medicine and general store app. Using our MedPlus App you can order the products you regularly buy from our stores from the convenience of home and pick them up from a MedPlus store near you. To start shopping, simply search for the products you wish to buy, choose the quantity and place the order. We will inform you when the medicines are ready for pick up. All orders are filled within 6 hrs during the regular business hours and on the next day for evening or weekend orders." MedPlus - Medicines & Grocery has been installed between 100,000 - 500,000 times by users at the time of this review and has an average rating of 3.7 in Google apps store. MedPlus - Medicines & Grocery app has been reviewed by 4170 Users and 1819 users have rated 5 stars. MedPlus - Medicines & Grocery app size varies from device to device and can be installed on any Android device running version 4.1 and up. Netmeds - India Ki Pharmacy App has been released by NETMEDS MARKETPLACE LIMITED Medical. The app description in Google Play read as "With Netmeds App, getting the medicine you need is simple. Download the easy-to-use Netmeds App to conveniently order your medicines from anywhere. Just tap the App, upload your prescription, rest assured that your medicines will be delivered anywhere in India. Running out of your vital medicines can wreak havoc on your health. Use the App to Refill Your Prescriptions now, Track Your Order, Rate Items, Check Reward Points or Contact Us on the go!" Today everyone is busier than ever, that’s why Netmeds offers you a user-friendly app to order your medicines at your convenience, without ever having to leave your home or office. On the move?... Can’t get to the pharmacy?... No problem. Download Netmeds App now for FREE - you are sure to find peace of mind managing your prescriptions like never before, with just a few clicks of the mouse. That’s the Netmeds App advantage! Saves you time, giving you the best pharmacy experience possible. Netmeds - India Ki Pharmacy has been installed between 1,000,000 - 5,000,000 times by users at the time of this review and has an average rating of 4.3 in Google apps store. Netmeds - India Ki Pharmacy app has been reviewed by 30224 Users and 21086 users have rated 5 stars. Netmeds - India Ki Pharmacy app size varies from device to device and can be installed on any Android device running version 4.0.3 and up. mChemist App has been released by Smartech Interactive P Ltd Health & Fitness. The app description in Google Play read as "mChemist is India’s first authentic, fully compliant online pharmacy"
Discounts on Prescription drugs as well as Health products and supplements! mChemist has been installed between 1,000 - 5,000 times by users at the time of this review and has an average rating of 3.6 in Google apps store. mChemist app has been reviewed by 42 Users and 19 users have rated 5 stars. mChemist app size varies from device to device and can be installed on any Android device running version 4.1 and up.